Thank you all for being so patient and sticking around in my absence! of upcoming estate sales in our area. 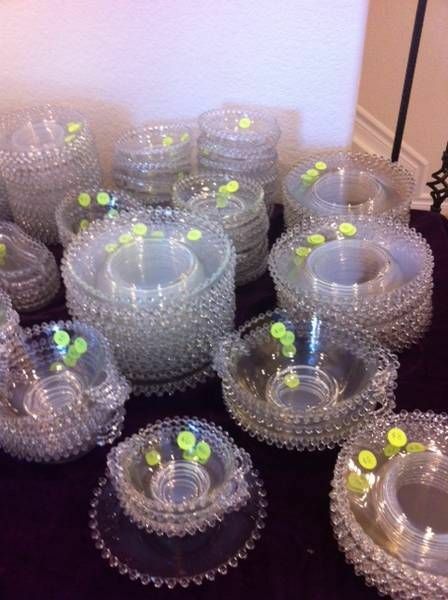 over 800 pieces of Candlewick glass! Yes, you read that right....OVER 800 PIECES! Even though it was across town, I HAD to go, right? Even Mr. B was excited about this sale. the only Candlewick freak in a 1000 mile radius. There were other Candlewick collectors there. (I had left mine in the car). Luckily, there were still plenty of pieces left to drool ogle at. She was going to use only Candlewick pieces for all the meals and table decor. about our shared obsession hobby! The pricing was very reasonable. (see the pair of vases? The cake plate? The wavy tidbit plates? Swoon!). But, just like on Ebay, they were out of my price range. I don't believe any of the pieces have ever been used. Not a scratch from forks or knifes on any of them. as perfect condition as these. So, you might ask, am I done collecting Candlewick? Oh my goodness, I shall do my very best not to covet. What wonderful, wonderful pieces. welcome back Kathe, great score on the Candlewick you did get. You may make it to 800 some day. What great finds at such great prices. Don't you love it when you score big!?! Wow, you found some gems, Kathe! I'm drooling! You hit the jackpot! I would love to find some pieces like that to add to my Candlewick collection! Enjoy your treasures. Have I been under a rock? I have never even heard of Candlewick glass. I'm so glad they had plenty left for your to choose from on the second day of the sale. 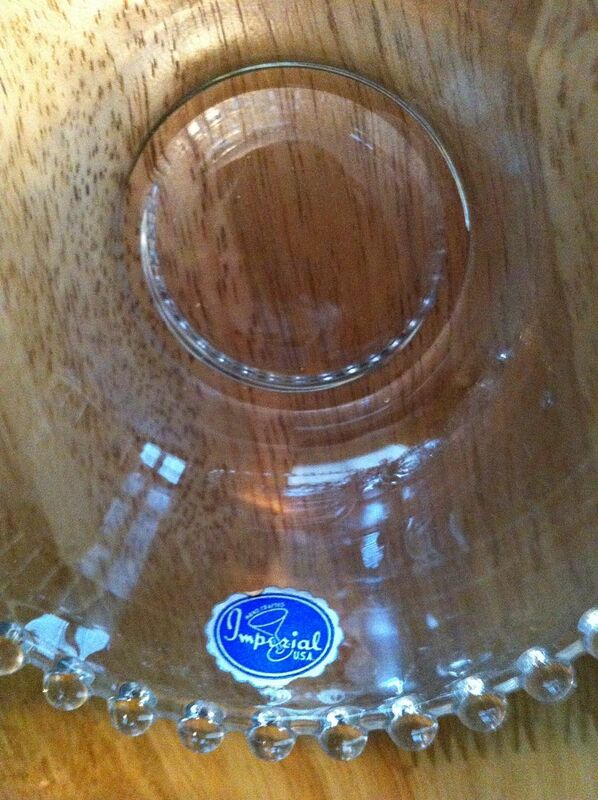 Thanks for enlightening me about that glass product. I saw your post over at Thrifty Thursday. Wow they do look brand new and never used!!! !So glad you could purchase as many as you did. How perfect to have the sale info e-mailed to you. You MUST now have a dinner party. How good is that,to get such beautiful pieces for such a reasonable price. I haven't ever seen or heard of it before,it's certainly a vast collection and very pretty. What a treasure trove of Candlewick pieces! You chose well-all yours are lovely and will set a beautiful table. Wow, that sale looks amazing! I don't know much about Candlewick, it is lovely! And unused, that is fabulous! Don't forget the blog crawl on the 13th for St Pat's Day! Thanks for showing all those pieces. I actually have a couple pieces and didn't even know what they were. I just liked them. I hope you surpass 800 pieces! Thanks for sharing the site that informs you! I can keep an eye out for gems too! Oh my goodness, I am jealous! I want some candlewick plates but so far I haven't found any I can afford. Wow - what great finds! Wow! Did you ever hit the jackpot! Thank you for sharing at Potpourri Friday! 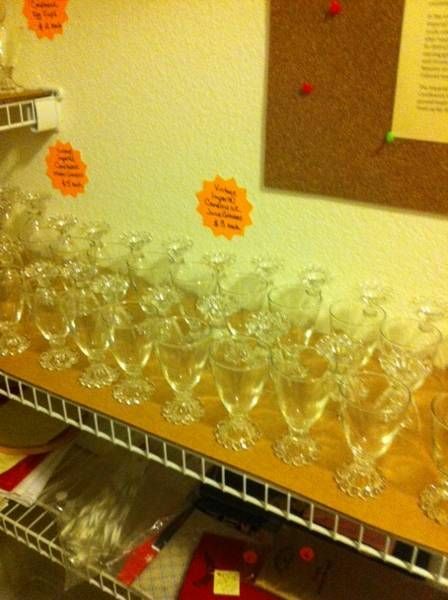 An estate sale just for you! 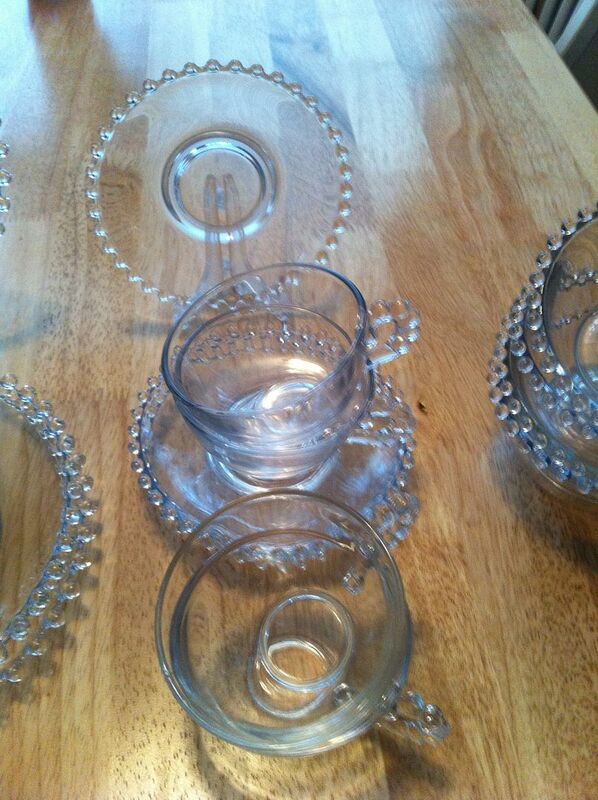 I picked up some candlesticks at a thrift store that look like this pattern? Is there knockoffs? Or do you not call them that?!? Those dishes are so pretty and will look so pretty layered with any other plates. 800 pieces! What an amazing collection! The pieces you added to your collection are beautiful. Love Candlewick.......so simple, yet elegant. What a fun estate sale!!! I've just become your lastest follower, so please, please come visit me at PICKINandPAINTIN.blogspot.com. THANKS. Isn't it FUN to find the things we love?! 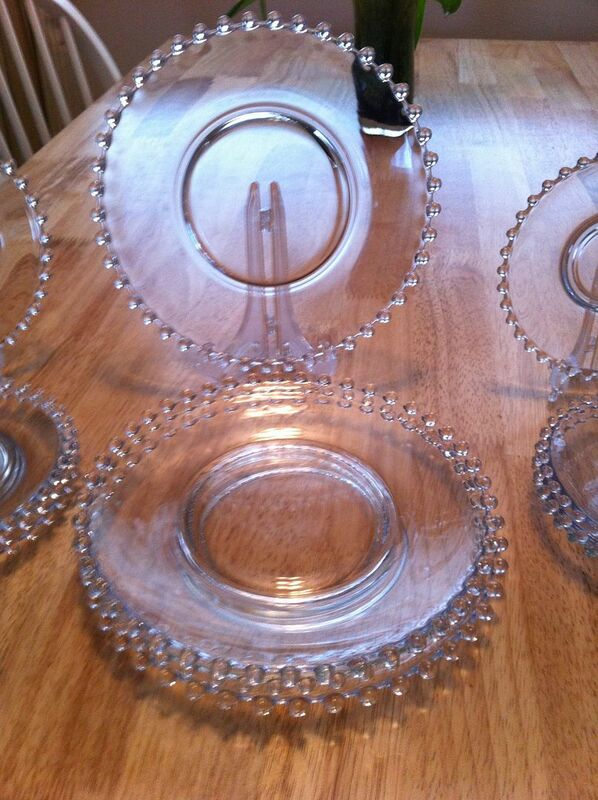 I have some Candlewick pieces, well, actually I think mine is Berwick by Anchor Hocking, but they're old. I don't know the difference, but I love them too. I bet you had a lot of fun there! Oh! My! Gosh! I LOVE Candlewick and have a nice collection myself! Oh you had me at the mention of estate sale & candlewicking! Wow that was a drool worthy sale! You really scored some gorgeous pieces! Thank you for sharing at ttf this week! And have a great weekend! Oh wow, what a collection! I often see the sherbet cups at thrift stores but never all those pieces. Cool finds! 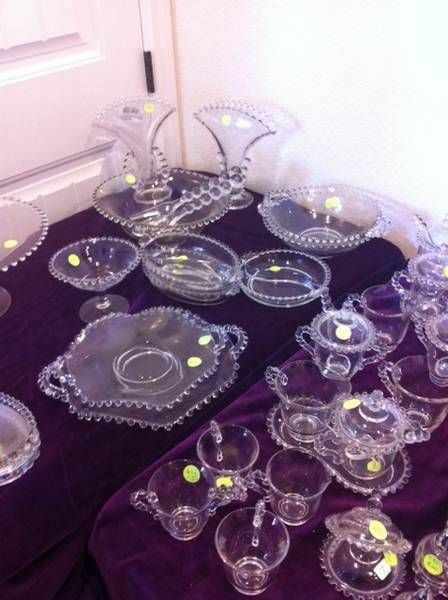 What a great estate sale and what really lovely pieces you got! Welcome back, Kathe. What beautiful candlewicking finds! I wish I had more time for estate sales- you got some great stuff! So glad that you shared it at Things I've Done Thursday!! 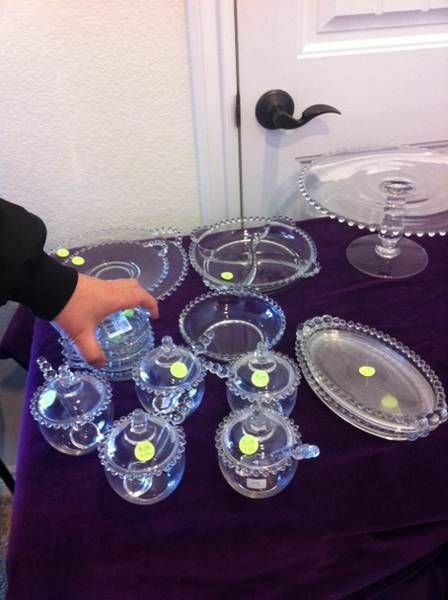 I'm curious to know how much the Candlewick cake stand was??? Congrats on going to a great estate sale!! Wow Kathe! You must have been in heaven! I think you got some wonderful buys! Oh Kathe, those are fabulous finds. 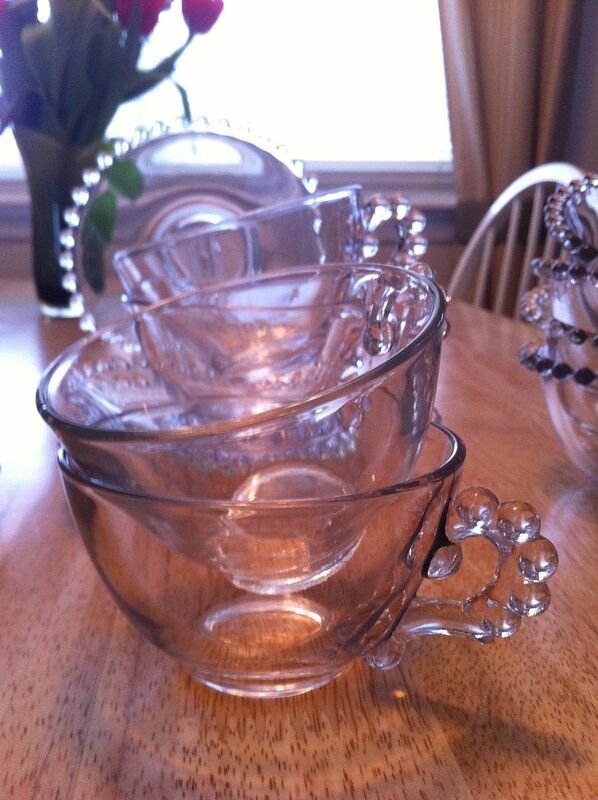 I do like Candlewick and have been looking for some candlewick water goblets to go with the two that I have. I am going to check in to the link for Estate sales above. Thanks for sharing. My mother received Candlewick as wedding gifts in 1951. I have loved the pieces ever since I was a little girl. Great finds!! Saw you on Tater Tots and Jello...enjoyed the post! Well, hello there new best friend! LOL Very pretty pieces, so glad you got them reasonably! What great finds! Thanks for sharing at this week's BFF Open House. 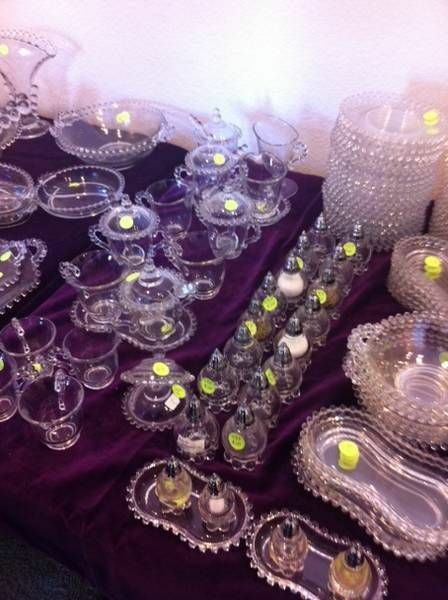 What a great estate sale and what really lovely pieces you got! I would like to thank you so much for your sweet comment on my new St.Patrick's Day Tablescape. If you follow me on Linky Follows I will follow you back. I hope you have a wonderful weekend with your family. Very nice finds, I love to imagine the parties the original owners had with things I buy like that! 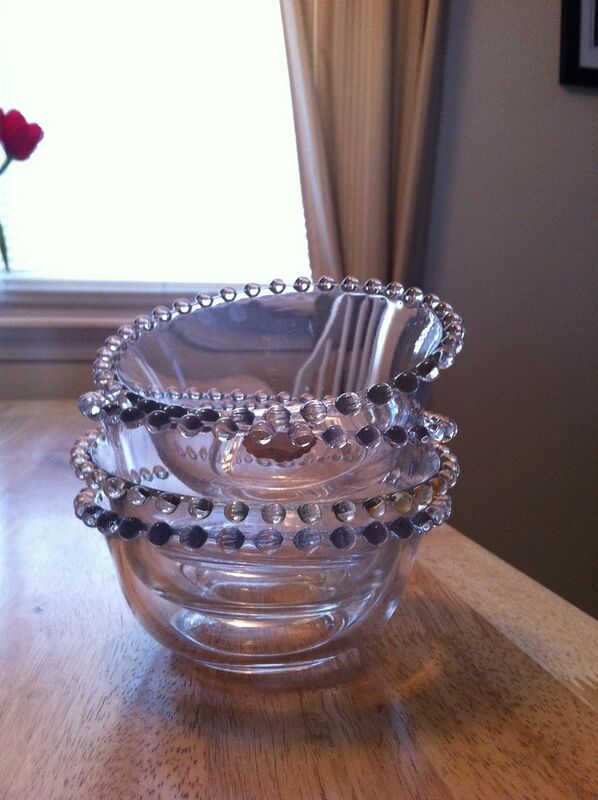 Wow...how beautiful...love the pieces you chose...you will have to show us your collection! Coming over from Seasonal Sunday..hope you are getting ready for Spring!! Wow! How neat to come upon that kind of collection. It sounds like you got some great pieces! Wow ~ what a treasure trove! I would hardly know where to begin. I love the idea of being informed of estate sales in advance too. I have some of the sherbet glasses. Thank you for telling me what pattern they are. I think I would have got crazy at that sale. I am so looking forward to garage sales in a few months. I love these dishes. Great deal. Kathe, your new finds are lovely. Looks like there was plenty for all the interested shoppers. It's fun to find something special that you collect. Glad you took a few things home. I have one piece of Candlewick, but didn't know what it was until now. My husband bought it at a garage sale for a quarter, and I do like it! Stopping by from Seasonal Sunday. Lucky you being able to add so many great pieces to your collection! What a fantastic find!! How exciting is it to come across something to put into your collection...but this is truly amazing...and beautiful!! I have to admit I didn't know the name of the pattern, but love it. SO pretty, and didn't realize they handles were done in the question mark. You really scored some very lovely pieces. As always thanks for sharing your creative finds at Sunday's Best. Great finds - you must have a fabulous collection!! It is beautiful and I am so glad you were able to add to your collection. Wow! What amazing treasures!! And what an estate sale!!! The whole collection is just awesome! How nice that you could buy some beautiful pieces to add to your collection. Thank you for sharing with us. Looks like you found some real treasures! I love when you hit on bargains like that that mean so much to you. I was about to ask if the owner ran a restaurant before you mentioned she planned to have a tea room. Amazing how people just collect stuff like this, but never use it. My grandmother is the same way. 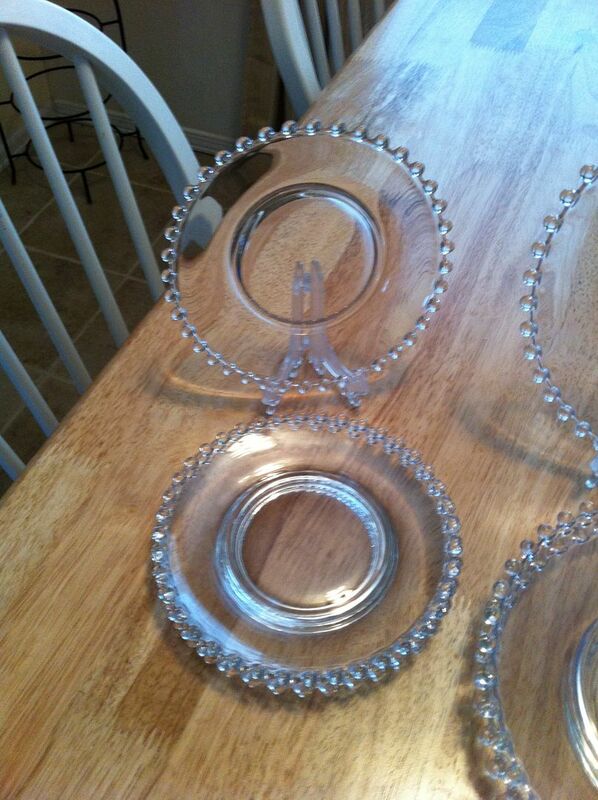 She's given several of us grandchildren sets of antique dishes she bought back in the day. All treasures that she bought because she liked them, but never used. Thank you for joining the Your Cozy Home Party. Please remember to link back when joining....thanks in advance for fixing that! Boy did you luck out. I can truly appreciate the pieces they left the company labels on. Wow! What a terrific opportunity! These are gorgeous pieces! So glad you were able to go and find good pieces at reasonable prices! Thank you for sharing this amazing website - I am hooked and have shared with my friend! Amazing! What awesome finds.... I'm enjoying your blog. I just popped over from Flamingo Toes. Wow, great finds! Thanks for sharing at S.O.F.! Check out my Fostoria American story I just posted. You'll probably get a kick out it! I'm so glad you linked up last weekend at Sunday Blog Love! Your post tied for the most viewed and will be featured this weekend! I hope you have time to stop over again and link up again!! Take care! I'm new to Candlewick, but it's quite beautiful. I understand why you collect it. I have a few pieces myself. After seeing this, I may be adding to my collection when I find more. Thanks for sharing at Restyled Sundays. Wow! You found some amazing pieces.. that I am sure you will enjoy for years to come! Thanks so much for sharing with the Pink hippo Party! Oh my goodness! Thank you so much for introducing me to their site as I'm a big thrifter and love estate sales too! This is fabulous! 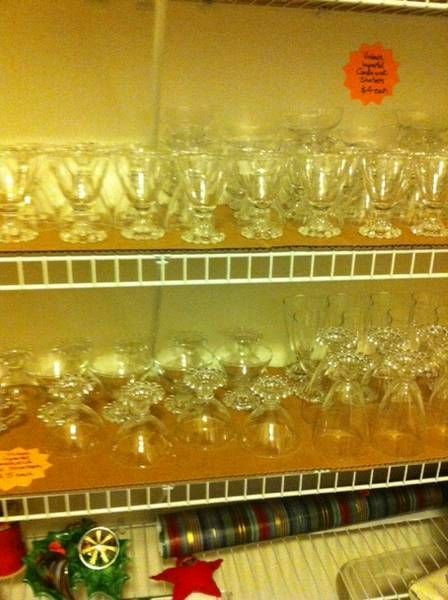 Would really like to find an estate sale like the one you posted about. Nice pieces to add to your collection. Those are such pretty dishes. Especially the fruit bowls! How lucky you are to have found a sale full of the very stuff you collect! I feel sad for the gal who didn't get to see her B&B dream realized--serving only on Candlewick was such a cute idea! Holy cow! That was an amazing find!! Its too bad you couldn't splurge more on your budget to get more!! Very nice!! Thank you for linking up with me at SHOW US YOUR FIND. If you can add my link or button, I would love to pin you! Looks like you hit the jackpot! I will keep lookout for you here now that I know what it looks like. I have never heard of candlewick before am I living under a rock? I would have had a hard time choosing what I wanted. It looks like those dishes would go with just about anything. Good job my friend! That's alot of neat stuff! 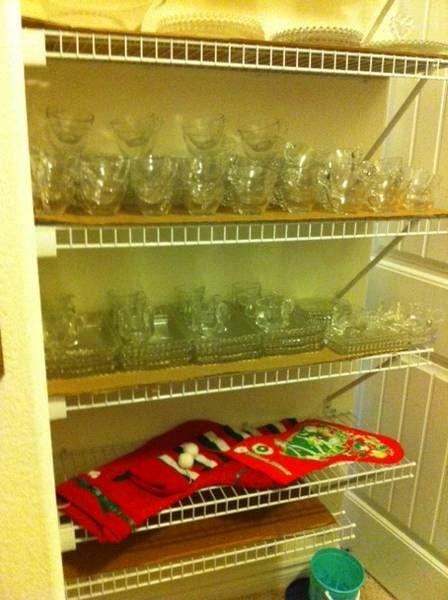 I have never seen that particular glassware before. I can see why it makes you swoon! The edges are so unique and lovely. I have one bowl and a saucer of this that was my mother's. I never knew it had a name. It used to have a little spoon with it, if I remember correctly. I always thought it was interesting as a kids. I wonder what ever happened to that spoon! How fun that you got to go and get your hands on a nice selection of this. Woo hoo! Congrats! It is fabulous stuff.